Standard/Medium size Mushaf printed by Majamma Malik Fahad. 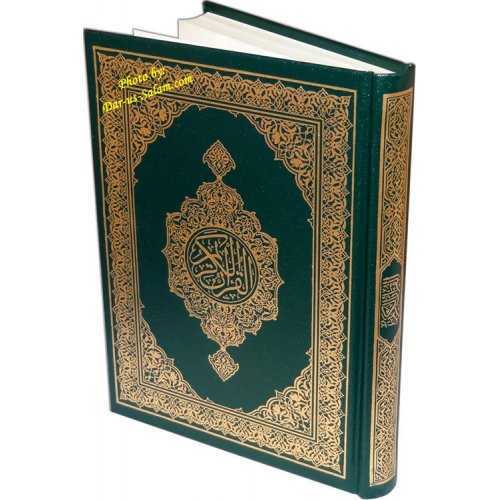 Same Quran type found in Haram Makkah, Madinah and many Masaajid around the world. Medium deluxe hardbound with fine paper and blue background. Anneeza Z. on 05/24/2018 Just what I've been looking for. Description and all is as exact. Thanks so much. Jazakallahu khayr. 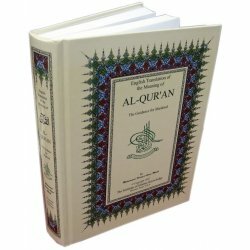 Micahel J. on 05/16/2018 Best quality Qur'an I've purchased, I plan to buy more during Ramadan. Adel A. on 03/22/2018 Very Satisfied with the service and the product. 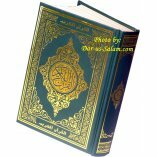 Muhammad R. on 07/14/2017 ‏السلام عليكم ‏‏جزاك الله خيرا Received the product properly. In'Sha'Allah May Allah grant you more successful in here and in the here after. Muhammad R. on 07/11/2017 As-Salamu Alaykum, Received the product without any damage. Jazāk Allāhu khayran. Siti Hajar N. on 07/01/2017 The exact book that Ive been wanting to have. The paper quality is superb. 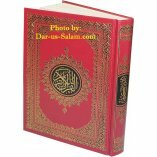 Yinan W. on 06/13/2017 The standard size Quran is amazing! 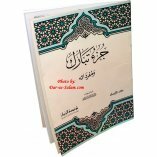 It is high quality and the pages are made from strong paper with great design and easy to read Arabic. The cover is also very beautiful. Overall, this is an excellent Quran for all people! Shaista S. on 05/01/2017 I am very happy with my purchase. 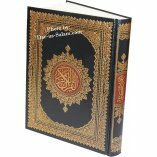 Salleha A. on 02/26/2017 Beautiful Quran. Love it. Fast shipment. 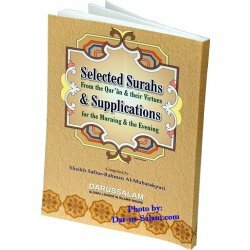 M B. on 02/18/2017 I had a good experience shopping online in your store ( Dar-us-Salam), I received the books I ordered on time and in the scheduled date. The books were wrapped in a safe package with a lot of care. I really appreciate the service. I do appreciate the online customer service too( Thank you Jiad for all your help, your time and patience with me). I can't find the words to thank you. you guys are awesome, keep going. Allah Bless you. Michelle L. on 02/10/2017 The blue background makes reading smooth and clear. Layla A. on 01/07/2017 I bought it as a gift for my parents, and it ended up being lovely. A little bit on the heavy side but very high quality and I'm sure they'll get a lot of use out of it. 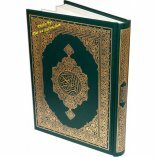 MohamedYusuf K. on 12/28/2016 Alhamdulliah,received the Quran in time. 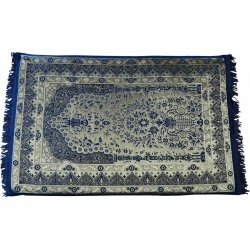 Inshan A. on 12/06/2016 May Allah reward them for their effort fast shipping and good quality. Gregory A. on 11/12/2016 al hamdulillah, the Quran is the speech of Allah so there is no critiquing the book, but I though I was buying a lager size. It was a gift and so I wanted it to be physically impressive so as to encourage the young reader. Insha Allah this will do, but if I had known it was roughly 5 x 8, I would have purchased a larger one. Customer R. on 07/28/2012 This is a beautiful copy, subhan Allah! It was thinner than expected. It's not too small nor overly big, I find it the ideal balanced size for daily use. The script is clear, pages have a satin/gloss feel. While slightly more expensive over some, the high quality definitely shows. It's well worth the price. This has become my favourite Arabic only mushaf. Don't hesitate to order one.